Front row (l to r): Lee Stern, Linda Simon, and Harvey Stern. Back row: Gary Matthesen, Brad Simon, Fieke Froeling, Peyton Harrison, and Gary Schacker. Members of the Masthead Cove Yacht Club (MCYC) raised $6,500 from their annual Masthead Race on August 12, 2018. 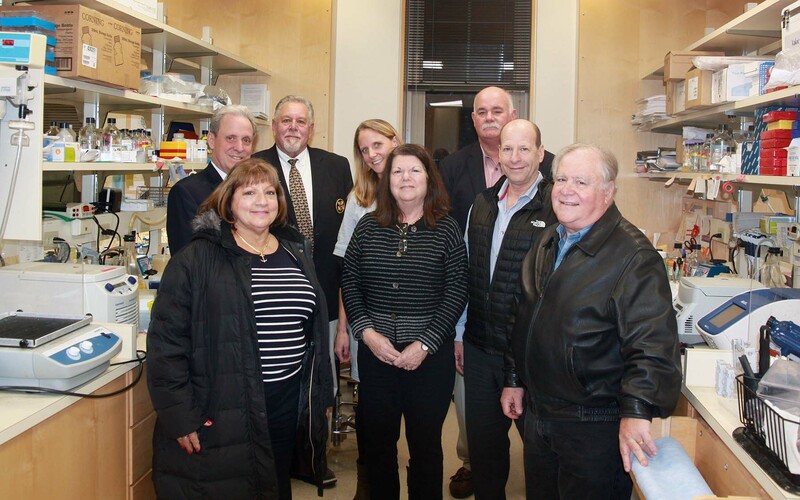 The money will go to fund research at Cold Spring Harbor Laboratory (CSHL). At this year’s race, Dr. Fieke Froeling, a translational fellow in CSHL Cancer Center Director David Tuveson’s lab, spoke about her work. Later, members of the Club visited the Tuveson lab to see how Froeling and her colleagues are fighting pancreatic cancer with research. The Masthead Race has raised over $90,000 since it was started in 2006 in memory of the MCYC’s former Commodore, Carol Marcincuk. Carol was an avid sailor and a beloved employee of CSHL who died of ovarian cancer in 2004. 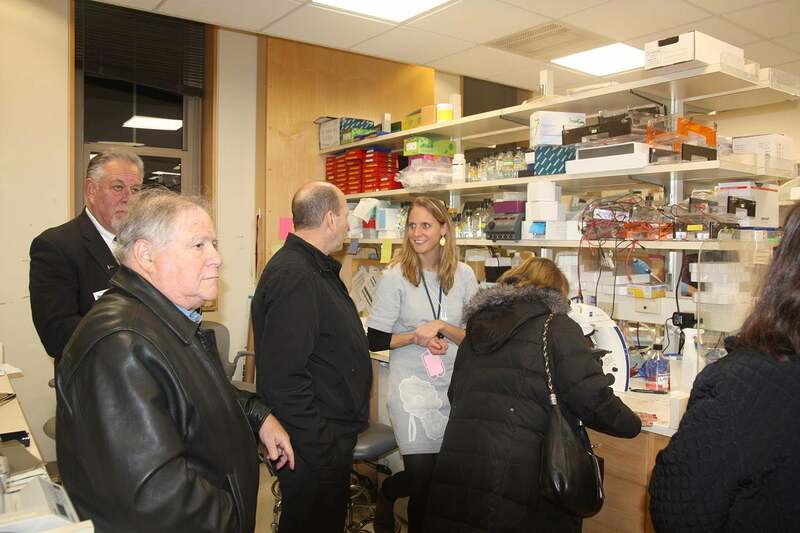 CSHL’s Fieke Froeling showing members of the MCYC the Tuveson lab.